Working together is good; sharing good times is even better. 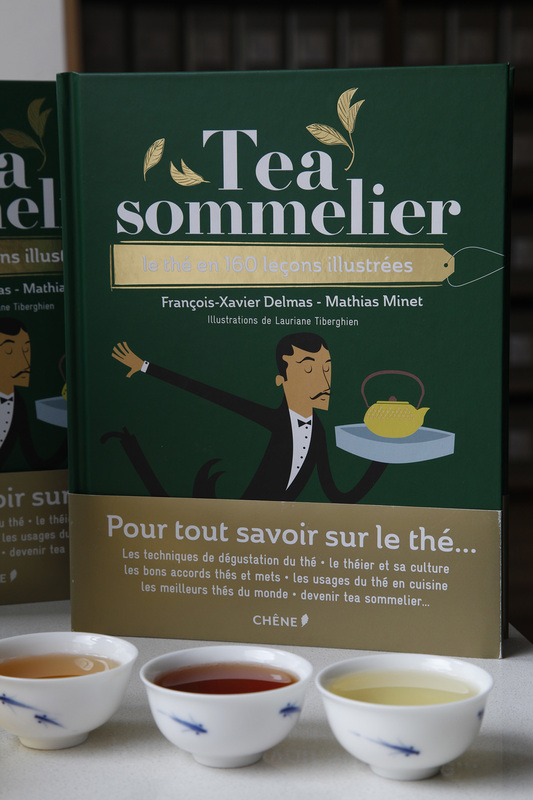 Yesterday was the Tea Sommeliers day, which I devote to the people who have obtained their precious diploma. The aim of the day is to spend a good time together, with tea, food and treats for the senses. We began by tasting the entire selection of first-flush Darjeelings, which I have just completed, before joining Nathaly from L’Esprit-Cuisine for a meal of food and tea pairings. 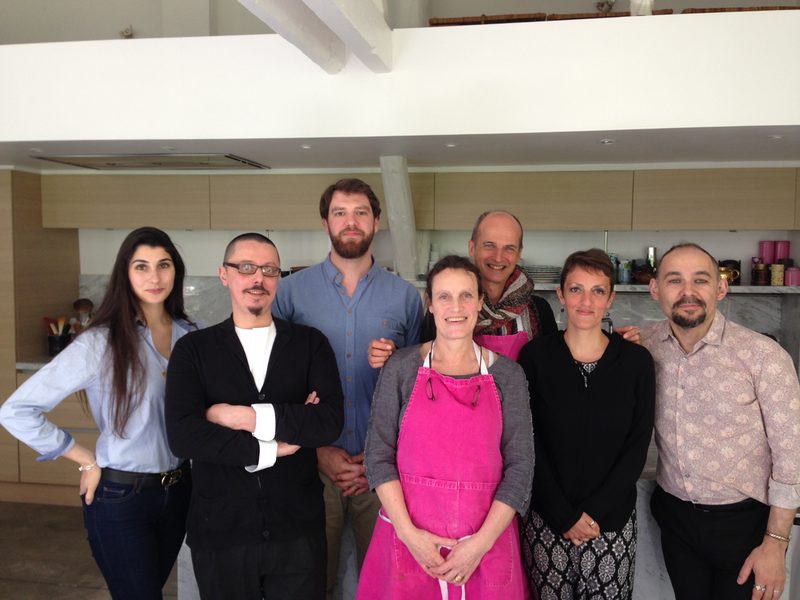 With Nathaly – a remarkable, positive and passionate teacher – we prepared an onglet of Aubrac beef with crème à l’anguille, flavoured with Bourgeons de Yunnan Premium tea. It was delicious, and we ate it accompanied by the same tea. This followed a fresh herb soup served with a Taiwan Si Ji Chun, and was followed by a delicious streusel, chocolate and black sesame biscuit served with the famous Jukro from South Korea. 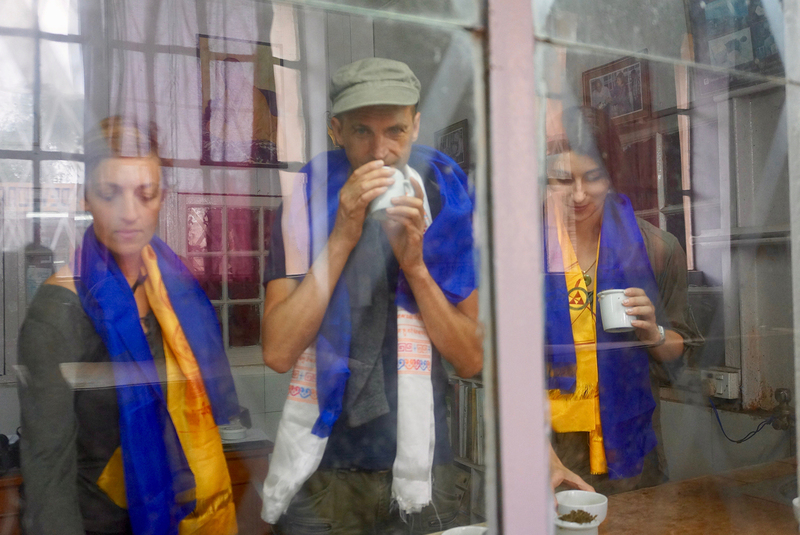 In the afternoon we returned to the tasting room, where our tea sommeliers discovered a few rare teas, tasted blind of course, before we all decided together whether they merited being called “premium” teas. Among the curiosities we tasted were a goishicha from Japan, a compressed dark tea from Hunan, little tea balls from Sri Lanka, a tea from the Nainital region of India, and a black tea from Colombia! On this blog you follow me on my search for teas and at my tasting sessions, and I thank you. Sometimes I also talk about pairings of teas and food, and I should also tell you about the tastings I’ve enjoyed so much in the company of chefs and tasters of other quality products such as chocolate and oil. But I have another mission, which is to share knowledge. I’ve learnt everything I know about tea from farmers and planters: every trip, everyone I meet, every tea I taste, throughout the year. I’ve been learning for 30 years and I know just enough to understand that I’ll never have time to completely get to grips with the subject. One lifetime is not enough, not nearly enough, to learn everything there is to know about tea. 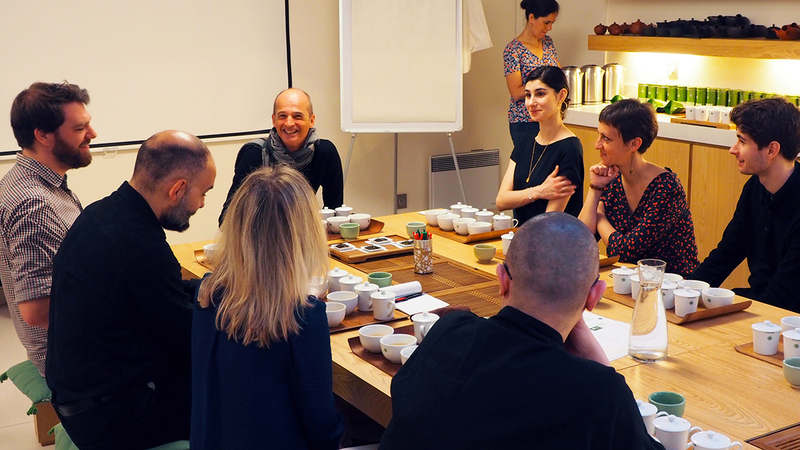 Since the start of our Palais des Thés story, and quite quickly with the Tea School, sharing knowledge has come to play an important role in our company. Today we’ve passed a very important milestone. With the help of my knowledgeable entourage, I’ve developed a practical and theoretical exam that will recognise, promote and encourage the best tea experts. So far, five people have been awarded this Tea Sommelier certification. Here I am with two of them, Nathanaëlle, our store manager in Marseille, and Manuela, a sales advisor in Paris, both of whom have accompanied me on a trip to Darjeeling. Well done to these two! I’ve been dreaming about it, and now it’s here. I want to talk about this book, published by Les Éditions du Chêne, which will be in bookshops this week. The project of writing the book, entitled “Tea Sommelier”, has been very important to me for a long time. Prestigious hotels in Europe, America and Asia have been asking me for several years to help them create tea and food pairings. One day a hotel in Hong Kong asked me which tea would go best with caviar; another time a Michelin-starred New York chef had so many questions to ask me, as he was discovering all the ways tea could be used in the kitchen. That’s what has changed: tea is no longer reserved for breakfast, brunch or teatime, it’s now an accepted presence at the table, in the kitchen, even at the bar. Tea is also being prepared at room temperature, and sometimes it’s even served in wine glasses. My friend Mathias and I cover all these topics in great detail in the book, in a serious yet fun way, accompanied by many illustrations. Naturally we also discuss the tea plant and its cultivation, along with the different types of tea and the various ways it can be prepared and consumed. The book is detailed, uplifting, accessible, and can be understood by anyone. We hope you enjoy reading it as much as we enjoyed writing it.